Detail: Washington County Family & Children First is excited to offer this highly acclaimed, evidence-based parenting program for parents with children ages 3-6 years FREE! The Incredible Years® Preschool Basic parenting program strengthens parent-child interactions and attachment, reducing harsh discipline and fostering parents’ ability to promote children’s social, emotional, and language development. In the parenting group, facilitators use video clips of real-life situational vignettes to support the training and trigger parenting group discussions, problem-solving and practice exercises. Incredible Years® Preschool Basic Program is a 14-week program offered once a week for two-hours and provided by trained facilitators. Learn how you can participate by messaging or calling us today. Childcare available. Registration is required and class size is limited. Everything about “Girls to the Front” is larger than life, starting with the 42 one-of-a-kind photos by renowned rock photographer Anastasia Pantsios. Photos of female rock icons Tina Turner, Patti Smith, Joan Jett, and Grace Slick are just a few of the amazing women you’ll see honored in this exhibit. “Girls to the Front” finally puts these pioneering women front and center which is precisely where they belong. While we would not necessarily compare the journey of these women’s struggles to those of the pioneers who originally inhabited what would become the Northwest Territory, in their own way, these rock ‘n roll pioneer women were trail blazing their way to fame at a time when rock ‘n roll was almost exclusively a male domain”, noted LeAnn Hendershot, Museum Administrator. Stop in Campus Martius Museum today to see this exhibit before it’s gone! Detail: Great Cardio workout for all levels of fitness! Meet new friends in a fun non judgemental zone!!! Come get your sweat on with this group in 2019! Detail: All February we’re cooking up some heart-healthy recipes in honor of American Heart Month! 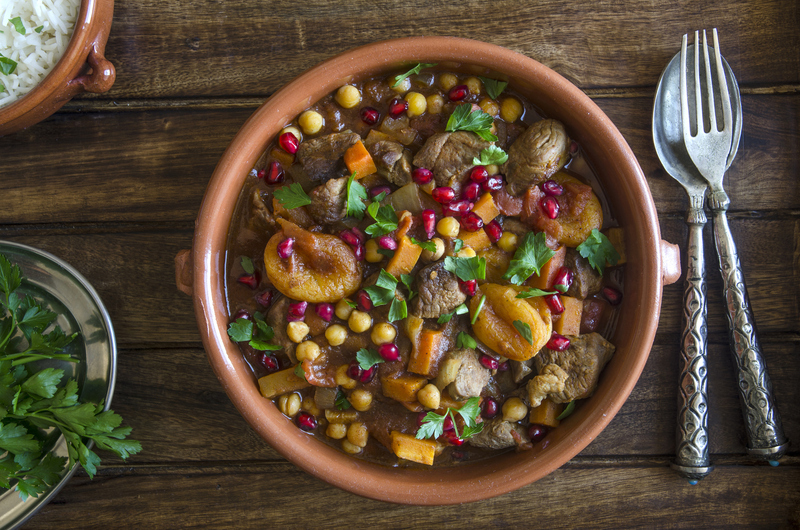 During this class, we will be featuring a zesty vegetable medley tagine. Cost: $10 per person. Space is limited, call (740) 568-4731 to register, pay and reserve your spot in class! Or register online: events.mhsystem.org Changed Plate Cooking Class Registration and Cancellation Policy: All class sign-ups are by pre-registration and pre-pay only. Registration for standard classes closes 48 hours prior to the class. Registration for Date night or other specialty classes may close 72 hours before, in order to give restaurant staff additional time for preparation. Restaurant staff may modify this as needed. Cancellations will be accepted and refunds provided if request is received within 2 weeks of a class. If 2 weeks (13 days) to 48 hours before a class, participants who wish to cancel may receive a credit for a future class. If less than 48 hours, no refund or credit will be given; this includes “no-shows” the day of the class. Detail: I wish I felt less pain… I wish I felt more happiness… I wish I felt less stress… I wish I felt more rested! Are any of these about YOU? Join us for a fun, fast and free event where you’ll learn about essential oils! Detail: Great Cardio workout for all levels of fitness! Meet new friends in a fun non judgmental zone!!! Come get your sweat on with this group in 2019! Detail: Thanks to a sponsorship by People’s Bank- Hunger Solutions, the Marietta Community Foundation, and the Binkley Charitable Fund. the Southeast Ohio Foodbank, a program of Hocking Athens Perry Community Action, will be hosting a mobile food distribution at the Washington County Fairgrounds, Wednesday, January, 30th from 10:00 a.m. – 12:00 p.m. Food items will be given to income eligible families who are at or below 200% of the Federal Poverty Guidelines, and are residents of Washington County. PRE-REGISTRATION IS REQUIRED call (740)385-4495 to register. Please contact the Southeast Ohio Foodbank at (740)385-6813 with questions. Photo I.D. and proof of residency no more than 60 days old is required. Detail: Welcome to our Anti-Bullying Club, Youth 2 Youth. The club is highly interactive and teaches students the tools and skills needed to deal with bullying, through role playing, guest speakers, activities and/or exercises. It will be delivered 90 minutes per week until the end of the year. Each lesson could have a short assignment/discussion for each of you to discuss with your child on a weekly basis. Students will receive their assignment/discussion at the end of each session. Detail: Operation Street Smart is designed to educate parents, teachers, social workers, community partners – anyone who has a connection with children – about current drug trends, terminology, and paraphernalia. The goal is to arm parents and teachers with the information necessary to recognize the influences of the drug culture on their children, familiarize them with the many different drugs to which our children may be exposed, and share the experience and knowledge of undercover narcotics officers so they are better prepared to help children make the right choices. Free to attend and Everyone is welcome! The agenda will include information about Alcohol, Marijuana, Synthetic Marijuana (K-2, Spice), Salvia, Divinorum, Kratom, DXM, Prescription and Over the Counter Medication (including liquid cough suppressants), Heroin, Methamphetamines, Cocaine and Crack Cocaine, XTC, Mushrooms, Khat, Bath Salts, Huffing, PCP, and LSD. Presented by Franklin County Sheriff’s Office. Sponsored by Pioneer Presbyterian Church, Belpre Police Dept and the Washington County Behavioral Health Board Questions? Contact Belpre Police Chief Terry Williams, (740) 423-7631. Detail: It’s Movie Night! Now Showing: “I Can Only Imagine” for adults. The kid’s movie will be selected by popular vote at the event. Popcorn and drinks will be served at 6:30 and show time is at 7 PM. This is just a fun time with our church family. Guests are welcome! Detail: All you can eat Fish dinner for $8.00, served from 5 to 7PM. Karaoke following from 7 to 11PM. Come out for a great dinner and evening full of fun!! Detail: Mark your calendars for 3rd Annual Vera Bradley Purse Bingo on Friday, February 8, 2019! Doors open @ 5:30 pm; Bingo @ 6:30 pm. A limited number of padded chairs available for $5 each. To reserve chairs, call 304-834-8259. Detail: FRIDAYS! Only five weeks to enter, and you have to enter in those first 5 weeks. You only have to qualify ONCE in any of the five weeks. $500 in cash and prizes to start, and may go up as more sponsors sign on. Mike’s, Marietta’s newest sports bar, J&J Sporting Goods Multi / T-shirt Launchers, Sweetsong Productions, Z106 Classic Rock, Froggy 99, and more! You DO NOT have to attend every weekend. You only have to sing once to qualify, once in the Semi Finals, and twice in Finals. Same format and rules for over ten years. New judges every year. Open karaoke for everyone else, time permitting, each week. Yes, we will still have regular Karaoke 8-12 on the Karaoke Saturdays. Thank you for being our stars, and making this largest, and longest continuously running Karaoke show in the entire Mid-Ohio Valley! Detail: Just in time for Valentines day. . . join Maddy for a lesson in cutting and rolling flowers with your Cricut. Two options will be supplied to used your flowers for., Make a bouquet or you can glue them to a heart shaped board for a wall decoration. All required materials will be provided at the class. Cost: $25.00 Class Limit: 6 Please register for class on our main page! For more information you can contact the Makerspace Coordinator by: calling 740-370-6399, or emailing at bb2cmakerspace@gmail.com. Detail: Lace up your sneakers and join us every Saturday for Walk with a Doc.This is a free provider-led walk that will begins with a 3-5 minute educational conversation. The walk starts on our Wayne Street Medical Campus (pediatric building, 310 East 8th Street in Marietta) will follow the Marietta River Trail for one hour, but participants do not need to walk for the full hour, and may walk at their own pace and distance. For more information please contact Dr. Tom Bartsokas at (740) 374-6030. Detail: Join us at 2 PM for soup and 3 tier tray of goodies for our Valentine Tea. Make your reservation by the 7th. Includes tomato bisque, chocolate and mandarin orange scones, smoked turnkey and red apple tea sandwiches, tomato and pesto crostini, raspberry cake donuts, and strawberry and champagne mousse tartlets. $20 per person plus tip and tax. Detail: Valentine’s Day Buffet & Comedy Club Show February 9, 2019 at 6:30pm Dinner Buffet Menu: Prime Rib Carving Station with Creamed Horseradish Sauce and Au Jus, Fresh Bay of Fundy Salmon with Saffron Cream Sauce, Caprese Stuffed Garlic Butter Portabello Mushrooms, Green Bean Almandine, California Blend Vegetables, Vegetable Risotto Red Skin Mashed Potatoes, Tortellini Pasta Salad, Garden Salad, Rolls, Desserts, Coffee, Tea & Water ***Cash Bar Available*** Photo Booth Available with takeaway memory photos. 7pm—9pm $95 per couple Tax and 18% Gratuity not included. Detail: Come on down to Marietta Adventure Company to learn how to change a flat tire on your bike! Bike Doctors Lincoln Smith and Evan Maze will go through proper procedure on how to fix a flat. They will explain step-by-step how to remove the wheel and replace the tube as well as common pitfalls that cyclists often run into in the process. Whether you’ve never changed a flat before or if you’ve just run into problems along the way, stop in for this informative clinic! Feel free to bring your bike, or a wheel from your bike to practice. Participants may take 20% off flat-fix materials in the shop the day of the clinic! Includes tubes, patches, tire levers, CO2 canisters, and pumps or inflators . Detail: Mother Nature always seems to provide some snow for the Polar Plunge in Parkersburg. Participants at this plunge will have the opportunity to discover just how cold water can be as they bravely leap (or slowly enter depending on what type of adventure one is looking for) into a pool set up at Point Park Market Place. A costume contest will be held immediately before the first plunger hits the water, and participants will have a chance to warm their souls at the post-plunge party. Detail: It’s that time of year again! Time for the Mid-Ohio Valley’s *LOWEST COST* Lab Screening at the Camden Clark Health & Wellness Center on February 9th from 8 – 11 a.m.! FREE EKGs, % Body Fat Testing, BMI Check and Tours of the Facility! $15 – Comprehensive Metabolic Panel, CBC, Thyroid Function and Lipid Profile $5 each – Cardiac Reactive Protein, Hemoglobin A1c, Prostate Screening, Thyroid Function, Bone Density Scan No appointment necessary. No physician order required. 12 hour fasting required for some tests. Cash or check only. Detail: We’re offering mini-makeovers for Valentine’s Day featuring MineralFusion makeup and a free consultation with beauty specialist, Marianna Tiedemann. Treat yourself! MineralFusion makeup is on sale in February – 20% OFF! Detail: Starting January 5th parents and kids 12 and under are invited to make art in our Art Factory on Saturday mornings from 10:00-noon. This event is free. Each week there will be different art materials/projects to explore. Free Saturday Arty Parties will run through March 16 which is the day of our big FREE community arts event Art-O-Rama. Stay tuned for details. Detail: EVE’s Chocolate Party at the Glenwood is an annual fundraiser for our Domestic Violence Shelter and Supportive Services. Great family event for the afternoon. You can pay at the door! Cost is $10. adult, $5. children under 12, and $25. for family of 4 or more. What a deal! We also have food items for those with New Year’s resolutions! If you wish to donate an item, please bring it to the Glenwood between 10 -11:30 a.m. Detail: WISE Women Go-To Groups: If you’re a woman planning to start a business within the year, join (at no cost) a WISE “Mentor Me” Go-To Group to develop your management and business skills while you gain a support team to champion your endeavors. Over a 5 month period you’ll gain the insight and support you need to succeed. You’ll also discover “You’ve got people!” During this series of group sessions we’ll cover the fundamentals of business development and business management. Come get connected to experts in law, accounting, banking, insurance, management, and marketing. You’ll gain knowledge and directives in starting a business, marketing, legal issues and requirements, record-keeping and financial management, financing, insurance, and business plan development. You’ll also have the opportunity to develop a network that will support you and your business development efforts. 2019 Mentor-Me Go-To sessions will be held the second Thursday of every month beginning in February through June. Instructor: Nancy Stoll, Certified Business Advisor Mentor Me is offered at no cost but you must be registered to attend. Register Today! Do you know any events beyond MOV that we need to add? Message us. Detail: Crystal Gayle comes to the historic Peoples Bank Theatre! Inducted into the Grand Ole Opry in January 2017 by her sister Loretta Lynn, Crystal Gayle is the first female artist in country to reach platinum status with more than 20 number one hits. Renowned for her classic recording of her timeless signature song Don’t It Make My Brown Eyes Blue, Crystal Gayle also scored with her multi-format hits You’ve Been Talking In Your Sleep, When I Dream, Half the Way, and her duet with Eddie Rabbitt, Just You and I. Detail: Conventional wisdom has it that Amy Grant put Contemporary Christian Music on the map, becoming the first CCM artist to have a platinum record, the first to hit No. 1 on the Pop charts, and the first to perform at the GRAMMY Awards. Since then, Amy Grant has been strumming her way through a 30-plus year adventure as a singer-songwriter, author, television host and speaker. Do you know any events outside of the MOV or events that need to be registered in advance? Leave the event in the comment. We’d love to add them to the calendar. My name is Darla Brannan. I have Spinal Muscular Atrophy type 3. I use a wheel chair to get around. I work 30-35 hours a week at Trademark Solutions as the Graphic Designer since 2010. I am a Christian (Baptist to be exact) and I love Jesus Christ. I accepted Jesus Christ as my savior in 2005. If you'd like to know more I'd love to chat via Facebook. I am a graduate of Marietta High School and Washington County Career Center Class of 2006. I have my Associates Degree in Applied Business from Washington State Community College, which I received in 2009. I grew up in Marietta Ohio all my life. I moved to Belpre Ohio in October 2013. I live with my husband and 3 daughters . I try to stay updated on the events that are in the Mid-Ohio Valley for Family & Children themed events. I really love the Mid-Ohio Valley for all it's history and beauty. I couldn't imagine myself anywhere else. I really like this site. I found many fun things to do. Unfortunately I haven’t been able to take advantage of any of them yet, because of my schedule, but I hope too in the next few weeks. Keep up the good work.